It really is the most wonderful time of the year! 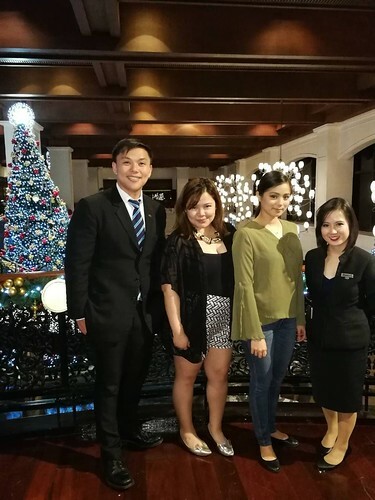 To officially kick off the Christmas season, The Foodie Station celebrated with Sofitel Philippine Plaza Manila in Art de Noel: A Christmas Melody. Sofitel wowed the crowd last November 21, 2017 with their magnificent tree lighting ceremony of their 30 feet Christmas tree in the middle of their hotel. Hotel guests and event attendees took the opportunity of having a memorable photo with the Christmas tree. You can’t miss it! If that wasn’t enough, Le Bar offered food and drinks for everyone. 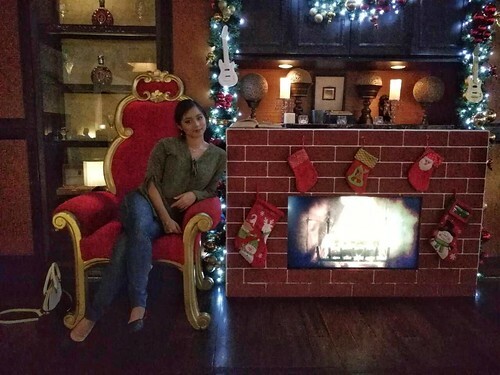 They offered a Christmas themed spread and even set up a chair near the “fire place” for the complete Christmas feel! 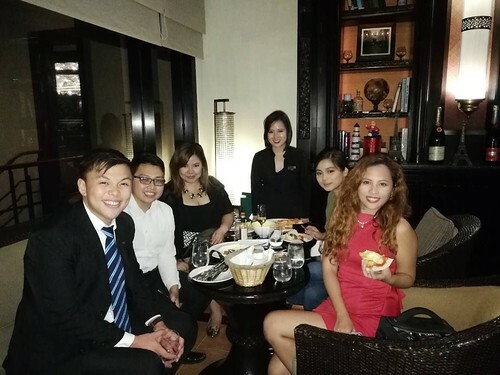 To be honest, we were a little late to the event so we didn’t catch the children of Virlanie Foundation but Dave and Kat from Sofitel were kind enough to accommodate us! They served us food like Beef Salpicao that was cooked to perfection. A cheesy pizza with different flavors for different appetites and a hearty warm pumpkin soup for the soul. Catch the 30 foot Christmas tree at Sofitel Philippine Plaza all season long and bring your family and friends! Sofitel Manila has a lot of special offers this Christmas season so check out their website http://www.sofitelmanila.com for more details.